This introduces our new Global issues page. Selected articles will appear as posts but will be linked and kept indexed on that page. Meanwhile, people use open fires inside their little houses to cook their food. Many babies fall in and are killed or maimed every year, and people suffer eye diseases as a result of the smoke. As Christians we have a responsibility towards our fellow human beings in Africa. Next time you switch on a light, think about them, and what you can do to challenge the anit-human pro-environmental policies that the world green police are imposing on these people. This entry was posted in Global denial, Justice, Kingdom living, Warmism and tagged Christian community, christian life, climate, dark africa, environment, Faith, fellow human beings, global issues. 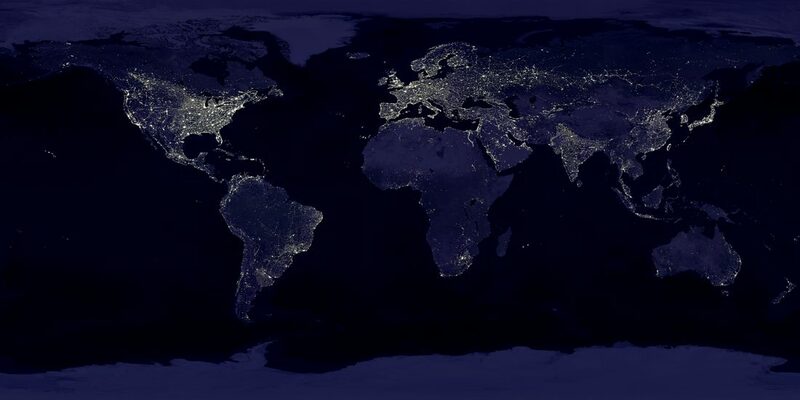 Africa, Haves and have nots, India, least developed countries, NASA, open fires, revfelicity, science, social justice, World view at night by revfelicity. Bookmark the permalink.